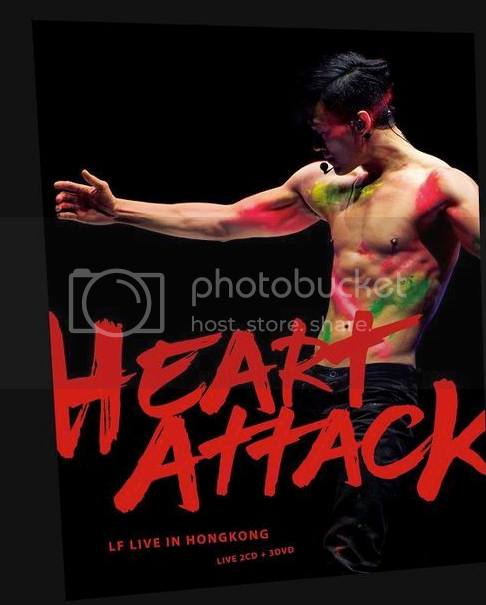 Shake your body with Raymond Lam in his fifth concert Heart Attack LF Live in Hong Kong! From April 29 to May 1, 2016, the singer gave fans a heart attack with his exciting concert at the Hong Kong Coliseum! On a revolving stage, Raymond performed his recent hits from Trap including the concert's theme song Heart Attack, Show Me and the Mandarin song "Love Is Near," as well as various popular ballads and dance numbers such as "Love Searching for You in Memories," "Love without Regret," "If Time Comes," Let's Get Wet and Chok. The new song "The Sad Bystander" was also unveiled at the concert.